Portland, OR, USA â€“ November 28, 2006 â€“ Along with support for AutoCAD drawings v2.5 through v2007, the progeCAD DWG viewer allows designers to redline, markup, and plot their AutoCAD Drawings. â€œprogeSOFT has opened the world to AutoCAD 2007 drawings while easing the migration to a lower cost, AutoCAD compatible, CAD solution. We have provided a major step forward for IntelliCAD.â€ said Damiano Croci, progeSOFT s.a.s. Use of the progeCAD Viewer DWG is natural; familiarity with the originating design application is not necessary. progeSOFT also offers progeCAD 2007 Professional, AutoCAD compatible CAD software, progeARC, architectural design software based on the ArchT design engine, progeEARTH, for Civil Survey work, and progeMEC, for mechanical design tasks. See our list of Authorized Resellers to obtain your own progeSOFT evaluation software. progeSOFT North America, (http://www.progesoft.us), is the North American distributor for progeSOFT IntelliCAD software and provides marketing, sales and support for United States progeSOFT resellers. I’ve just finished writing my latest book. “Tailoring AutoCAD Rendering” ($21) is all about the new rendering engine in AutoCAD 2007: adding lights, attaching materials, setting up cameras, and rendering. I’ve got more information at the PDF ebook’s Web page: TAR. Portland, OR, USA â€“ November 18, 2006 â€“ progeSOFT announced today an unprecedented breakthrough for the progeSOFT Version of IntelliCAD. 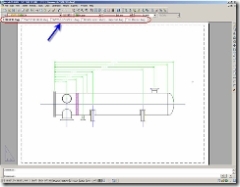 progeCAD 2007 Professional now edits and saves AutoCAD 2007 drawings! progeSOFT 2007 Professional can open, read, and allow you to edit drawings created with all versions of AutoCAD. In addition, progeCAD 2007 Professional provides compatibility by providing an â€œAutoCAD Likeâ€ icon menu, AutoLISP compatibility, VBA, the same fonts, scripts, and a command list you are used to working with, at 1/10th the price. â€œprogeSOFT has opened the world to AutoCAD 2007 drawings while easing the migration to a lower cost, AutoCAD compatible, CAD software package. We have provided a major step forward for the IntelliCAD community.â€ said Damiano Croci, progeSOFT s.a.s. In addition, designers will also be able to use the new express toolbar, convert PDF to DWG, as well as printing to the JPG graphic standard. 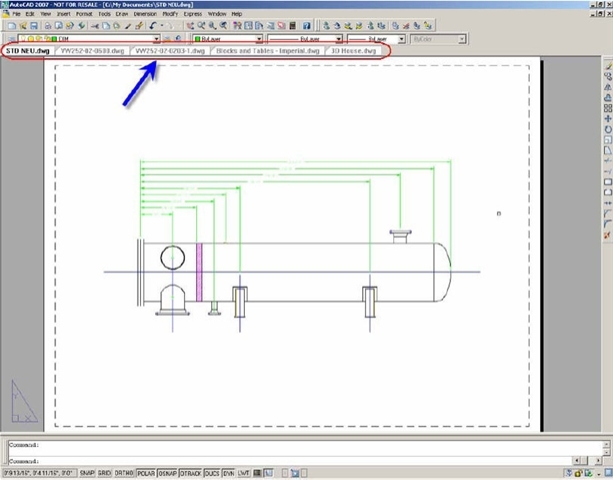 progeCAD 2007 Professional also allows editing blocks directly within drawings, a new advanced attribute editing command, polar snapping, and a more â€œAutoCAD likeâ€ design interface. The AutoCAD DWG 2007 support within progeCAD 2007 Professional will allow designers to lower their CAD software and training budget while still supporting the processes they are currently using. CAD users can open the same drawings, run the same menus and commands, and get off the ground running by utilizing the compatibility of progeCAD 2007 Professional at 1/10th the price. Designers can import their Adobe Acrobat PDF files and convert them into a drawings they can edit and save. PDF is a universal file storage and viewing application used by thousands of users worldwide. CAD Users will now be able to acquire images from documentation, catalogs, brochures, user manuals etc. and convert them to AutoCAD DWG Drawing files. The new advanced Attribute editor gives you more control over attributes, allowing changes to every property associated with attributes within blocks, without needing to recreate the blocks. In addition, progeCAD 2007 Professional now offers editing of blocks directly from inside the drawing, no need to open the blocks to edit them. The new interface more closely matches what AutoCAD designers are used to using. A new UCS Icon design, â€œAutoCAD likeâ€ icon and text menu, even the layout of toolbars and command line are designed to minimize the impact of migrating to a new CAD system. â€œThis release breaks new ground by opening the AutoCAD 2007 format drawings to designers, drafters, engineers and architects. Companies now locked into their vendorâ€™s software have a choice, a choice to save thousands of dollars without affecting productivityâ€ said Scott Hucke, President, progeSOFT North America. progeCAD 2007 Professional is CAD software highly compatible with industry standards, such as AutoCAD DWG v2.5 through 2007, â€œAutoCAD Likeâ€ menus, SHX and TrueType fonts, AutoLISP, AutoCAD blocks, etc. Sold at a fraction of the cost of most AutoCAD software, progeCAD 2007 Professional, powered by IntelliCAD, is a logical choice for drafters, designers, engineers, architects, anyone needing AutoCAD compatible software. Industry specific applications are also available for architectural design (progeARC ArchT), mechanical design (progeMEC), and AutoCAD drawing review and markup (progeCAD Viewer DWG). ProgeSOFT, (http://www.progesoft.com), a founding member of the IntelliCAD Technology Consortium Board of Directors, has been specializing in CAD for the last 20 years and develops CAD products for the general, mechanical and architectural industries. progeSOFT products are distributed within North America by progeSOFT North America (www.progesoft.us). Randall Newton has the details on Autodesk’s law suit against the Open Design Alliance. In the past, the ODA’s head has threatened to sue Autodesk, but didn’t have the $2-3 million it needed. Now the boot’s on the other fella’s foot. Will Dassault Systemes, Bentley Systems, UGS, PTC, and other industry heavyweights counter-attack Autodesk? Will Autodesk’s army of blogs provide blow-by-blow coverage? Autodesk reports that the installed base of AutoCAD has breeched four million: 4,056,200 to be exact, as of the end of October. Nate Holt of Autodesk posted an invitation to the AutoCAD Electrical beta. The AutoCAD Electrical team would like to invite existing AutoCAD Electrical users to participate in the Beta Program for an upcoming release of AutoCAD Electrical, code named "Niagara". The goal of the Beta Program is to give you a preview of what’s coming and to test the new release. Our ultimate objective is to collect and review your feedback on the new release. To enroll in the Niagara Beta please go to: http://myfeedback.autodesk.com and select Sign up from the Active Zone Menu. You will then be asked to fill out a profile. Please use "Niagara" in the Beta Code field (at the top of the sign up page) and select "AutoCAD Electrical" as your product of interest. You will be emailed a password for the general site once the beta team has reviewed and approved your application. The process of adding participants to zones is not automatic and requests are reviewed periodically during business hours and some betas may not be active or require a slight wait until the start date. We look forward to your participation and feedback in this Beta Program! Sony agreed on March 31, 2006 to pay Intergraph US$15.0 million in royalty payments on the Clipper patent, which was illegally used by Intel for its CPUs. The net amount was $8.6 million, after taxes and expenses. Acer agreed on April 24, 2006 to pay Intergraph US$7.5 million royalty. On June 14, 2006, Intergraph sued Fujitsu Siemens Computers in Germany, and that case is continuing. On June 28, 2006, Intergraph sued Toshiba and NEC in California, and the case continues. – North Campus Business Park = $65.0 million. – South Campus Business Park = $32.0 million. Bentley Systems, Inc. stake. In calculating implied equity value of Intergraph, Goldman Sachs valued Intergraph’s approximate 25% diluted stake in Bentley Systems, Inc., or Bentley, by annualizing Bentley’s first quarter 2006 EBITDA, and applying valuation multiples consistent with software companies with a significant service component and a 30% private company liquidity discount. The valuation assumed a 36.0% tax rate and a tax basis in such stake of approximately $9.2 million. Maybe someone else can figure out Bentley’s value from those numbers above. And maybe someone can speculate on what Intergraph going private means for Bentley, which at one point had dreams of going public. Don’t let your project get delayed because electrical and mechanical teams can’t communicate. Autodesk’s MSD salesteam must be dreaming about replacing 2,500 seats of CATIA at Airbus Industries. Would Autodesk’s PLM software also be up to the task? The VHD Test Drive Program, named for Microsoft’s Virtual Hard Disk (VHD) format, will provide users with free preconfigured .VHD files that can be dropped onto any virtual machine that supports the .VHD format such as Microsoft’s Virtual Server 2005, which also is free. The demos stop working after 30 days. It’ll also work with Vista sometime next year. This is a way to demo software without it imposing itself on your computer’s delicate balance of DLLs, drivers, and things set up just the way you like them. UGS is the only CAD software company to Microsoft’s gotten to sign up, allowing UGS to develop VHD files for their software. Due to a screwup by my ISP, this week’s upFront.eZine didn’t get through to about 85% of my 8,400+ subscribers. You may get your copy later in the week, if the ISP is able to solve the blockage problem. In the meantime, you can read this week’s issue at upfrontezine.com/2006/upf-494.htm. I had seen a note at the end of October that Autodesk would be ending telephone support for its customers who pay for an annual maintenance subscription. With today’s announcement from Hagerman & Company, we now know why:Hagerman & Company, Inc. to Provide Autodesk Subscription Gold Support. * Toll free telephone support Monday-Friday during normal business hours (8 a.m. to 5 p.m. in all U.S. time zones). * Direct access to qualified technicians with target three-minute maximum hold time. * Target two-hour maximum response time. * Up to four named callers. As part of this new authorization, Hagerman & Company was required by Autodesk to meet personnel, facility, performance and infrastructure criteria consistent with industry best practices in technical support. * Telephone support 24 hours a day, five days a week. * Seven-days-a-week support for an extra fee. * At least one Autodesk technical account manager at Autodesk. Prices for the two new levels are not yet posted as of this date. Conference calls are a rich source of otherwise-unknowable information from CAD vendors, particularly when financial analysts get to ask questions of the CEO and CFO. But not this quarter. Intergraph canceled its conference call, because it will soon be a privately-owned company. Dassault Systemes last week posted something that sounds like a podcast of the CFO (I think, no names were given) conversationally talking about the company’s financial results for 35 minutes; no Q&A section. Thank goodness for PTC keeping me entertained by including the traditional Q&A in yesterday’s conference call. No trick as it is a Halloween treat! That’s right this blogs 999th post since August 2003 is a new Autodesk Bonus Tool for AutoCAD 2007 and based products. Bonus Tools have been a long standing tradition of Autodesk developers to create cool tools. Suresh Kumar put together this new one named Drawing Tabs. This Bonus Tool is provided as-is with no support. If you like the idea of Bonus Tools perhaps we will provide more for you. This utility allows you to quickly navigate the files which are currently open in your drawing session.